Common Core Money: Financial Literacy & Success Inspiration: Mutual Fund Or A Bank For Your Money Market? What's up everyone! So I was asked over email, "What is the difference between a money market fund and a money market account?" The person who emailed me wants to do better than keeping his money in a traditional savings account without too much risk. Okay, so to answer this question I'll start by saying that both of these financial instruments (let's call them) are fairly safe places to put your money, but other than their names both starting with "money market," they're not at all alike. 1. Agency Securities issued by government agencies or by government-sponsored organizations. 2. Bankers' Acceptances. These are commercial notes guaranteed by a bank. 3. Certificates of Deposits. These are usually large-denomination and negotiable CDs sold by both U.S. and foreign commercial banks. 4. Treasury Bills and Notes i.e. Government debt. 5. Repurchase Agreements. These are your basic buy-sell deals where the mutual fund buys securities with an agreement that the seller will buy them back in a quick turn-around fashion (within a week) at a price that includes interest. 6. Corporate debt with short maturities. As you can see, these are basically all "money market" securities with minimal credit risk (default is rare). MM mutual funds don't buy stocks! They're also NOT FDIC-Insured, but this is really a non-issue because of how relatively safe these investments are. 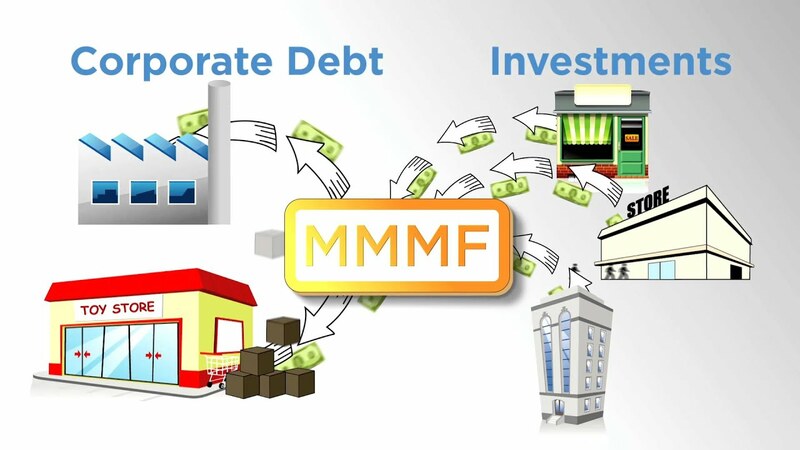 What Type of Investor Should Own A MM mutual fund? 1. Beginning investors who want to test the waters before diving into bond or stock mutual funds. 2. Investors that switch investments as interest rates rise and equities become overvalued. 3. Investors with an investment goal with a short time horizon that would rather not be stuck selling their investment at a loss when they need the money. 4. Investors who need their money to be liquid and still make some money from interest payments. For example, your emergency fund can be held in a MM mutual fund. 5. Investors who plan on writing checks against their account. A MM fund will allow you to write as many checks as you like, with $150 to $500 being the minimums per check quite often. Here's the catch. MM mutual funds have fees and sometimes even a sales load that could offset any money you earn. Plus you may have to make a minimum investment at first. You need to read the prospectus of any MM mutual fund you are interested in. To offset fees, some investors buy shares of Tax-Exempt MM funds. Depending on the fund, you can be making money (from dividends paid to you) that is exempt of your state's income taxes or federal income taxes. Heck...sometimes exempt from both! Shop around. People in states with high income tax rates (California, New York, e.g.) are better off investing in tax-exempt MM funds. For reference, here is a list of taxed and tax-exempt MM mutual funds offered by Vanguard. Notice their expense ratios and yields. Okay, so MM accounts are basically glorified savings accounts. You can go online or to your bank and get a money market account set up in less than an hour. These are bank accounts that offer higher interest rates than a regular savings account. Banks are essentially doing what MM mutual fund managers are doing, investing in low-risk, high credit, short-term "money market" securities. Your deposits are FDIC-insured so they are the least riskiest of all investments. The interest rate or Annual Percentage Yield (includes compounding interest) will depend on whatever the bank wants to offer. Some MM accounts have monthly minimum balances. The best ones don't. Also, the best MM accounts will allow you to write more than three checks per month to third parties. Right now, a total of six transactions is the limit and law for all MM accounts. MM accounts come with a debit card, and you can easily transfer money between this account and your other accounts, like checking. 1. Want a place to park their kid's tuition money temporarily until the next quarter or semester. 2. Need a place to keep their money for future tax payments (like your property taxes or other business taxes you know you'll need to pay). 3. Need to build an emergency fund. I've taken the liberty of finding you an article where you can have at your disposal the best MM accounts for 2017. Here it is. Well, that's all I got for today folks. I hope you've learned the difference between MM funds and accounts and have a better grasp of which one is more suitable for your financial goals. Thanks for reading!